Principle purpose of this lecture is to describe Digital Systems and Number Systems. 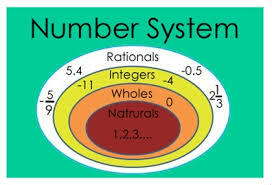 The number systems that we use in our day-to-day life will be the decimal number system. Decimal number system has base 10 the way it uses 10 digits from 0 to 9. In decimal number system, the successive positions left of the decimal position represent units, tens, hundreds, thousands and such like. This lecture briefly focus three types of Number Systems: Binary Number System (Base 2. Digits used : 0, 1); Octal Number System (Base 8. Digits used : 0 to 7) and Hexa Decimal Number System (Base 16. Digits used : 0 to 9, Letters used : A- F).